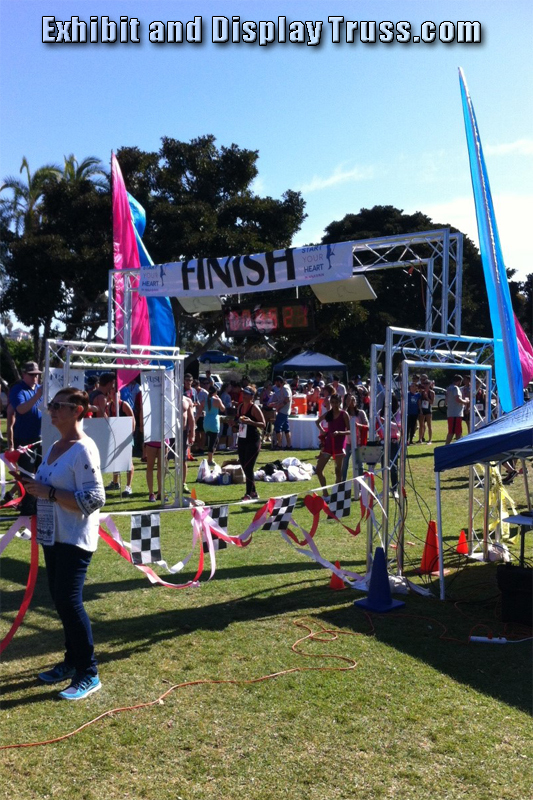 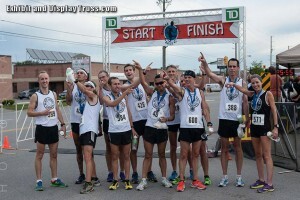 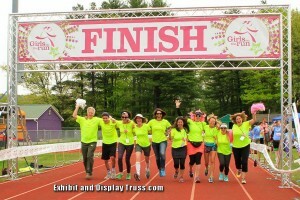 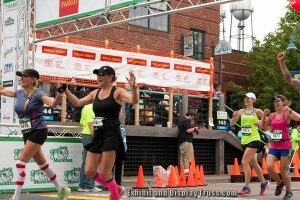 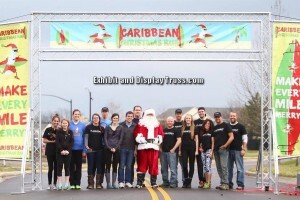 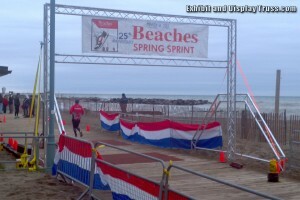 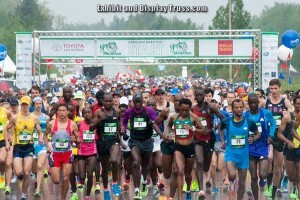 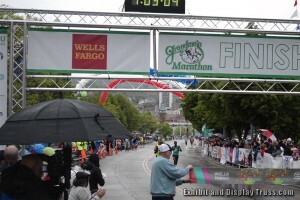 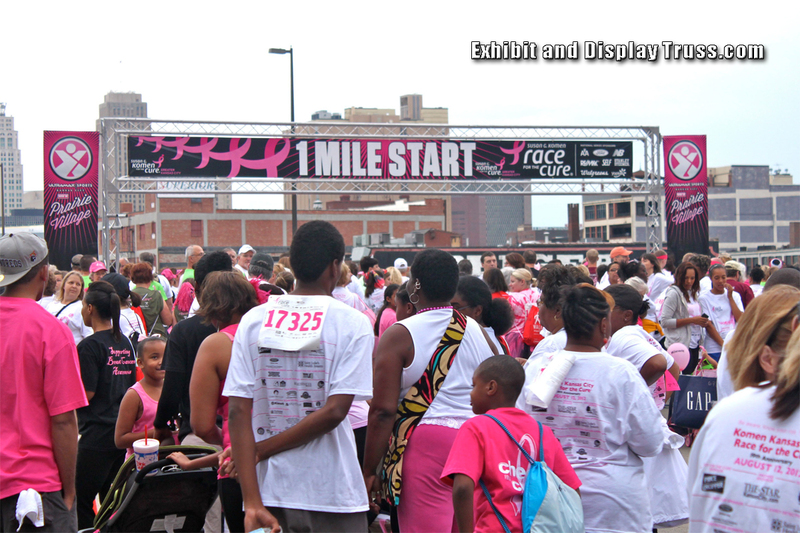 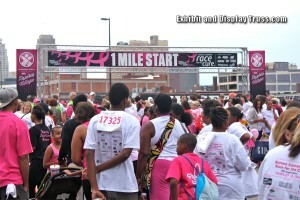 The most creative finish line and starting lines systems on the planet. 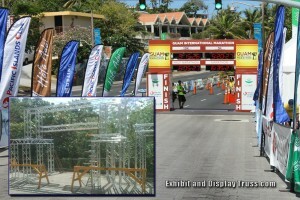 Small or large races, competitive racing events and charity marathons. 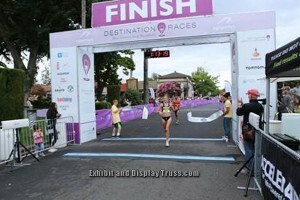 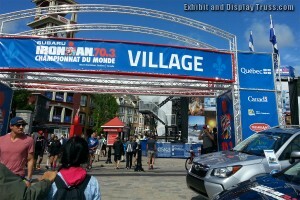 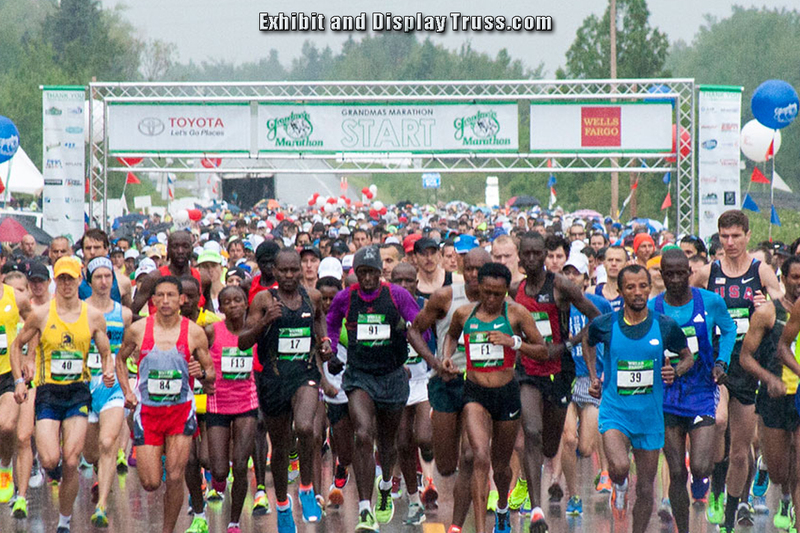 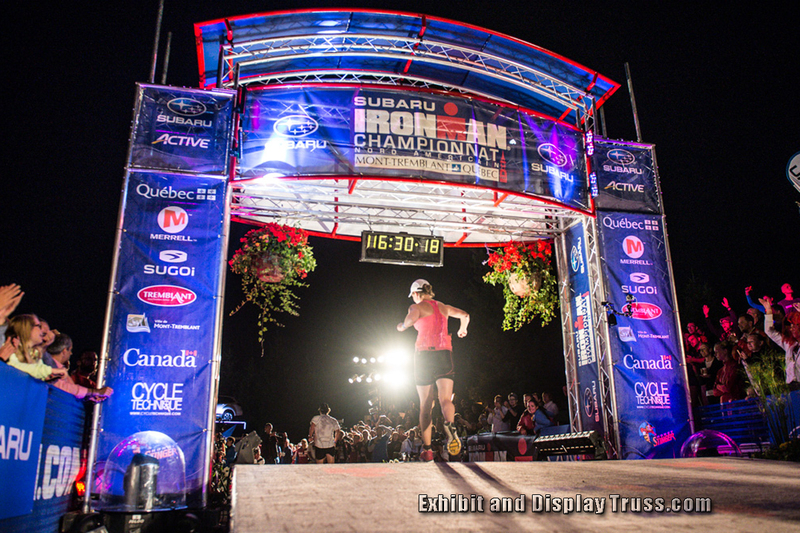 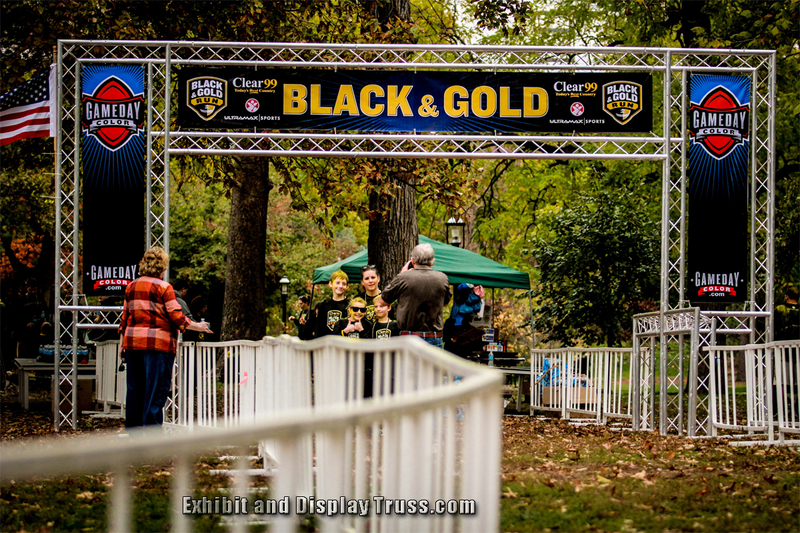 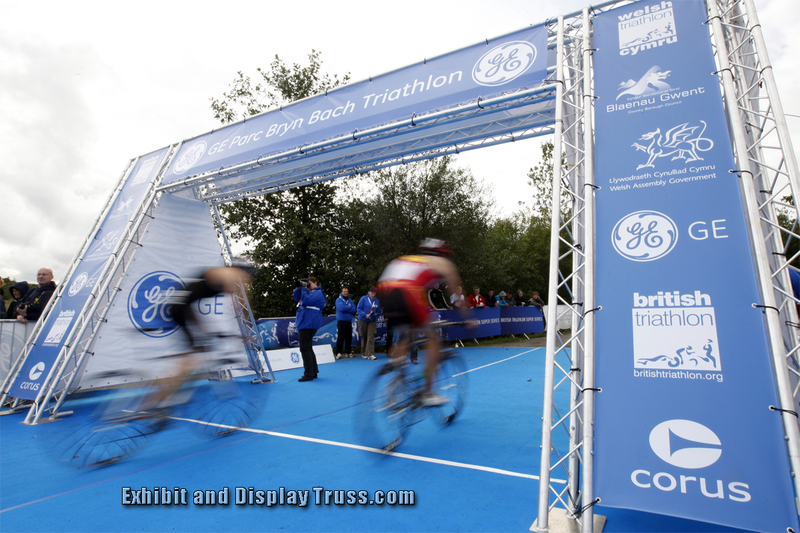 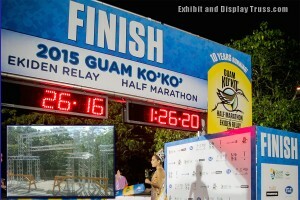 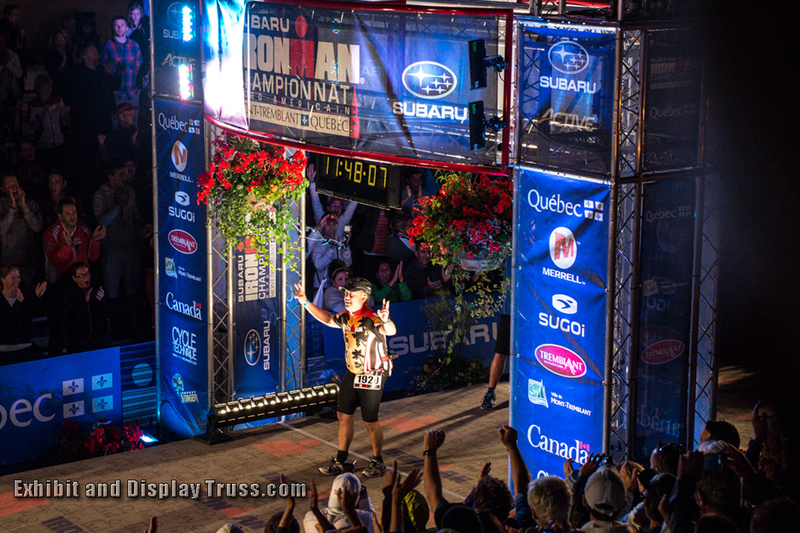 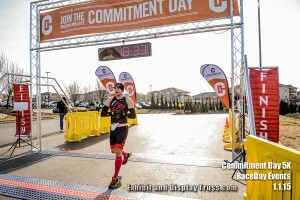 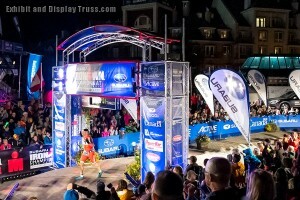 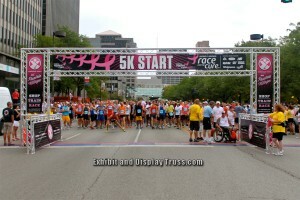 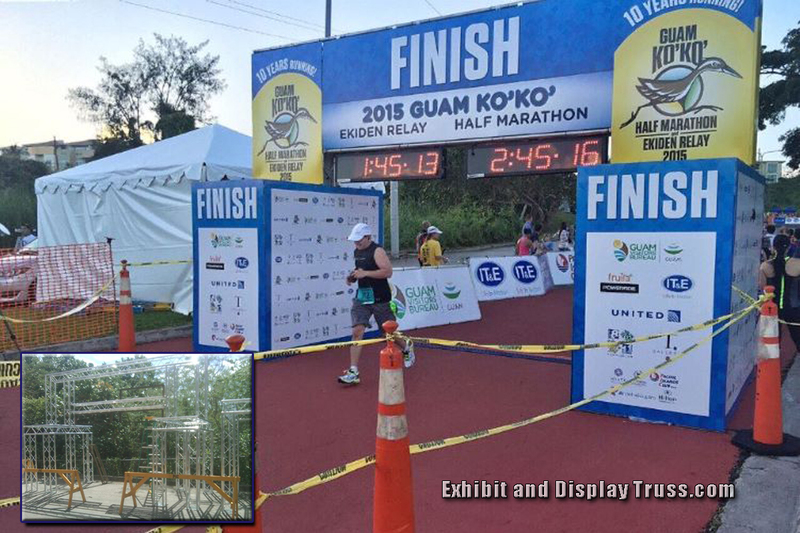 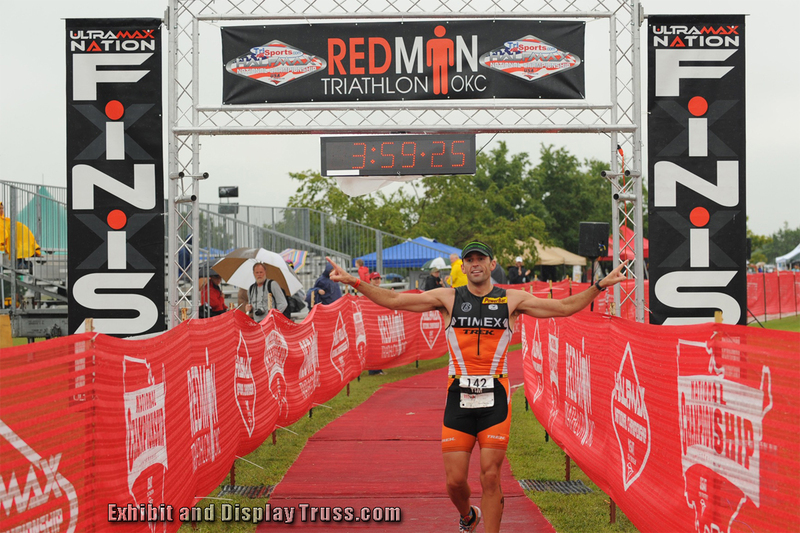 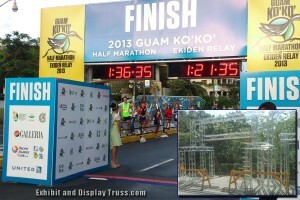 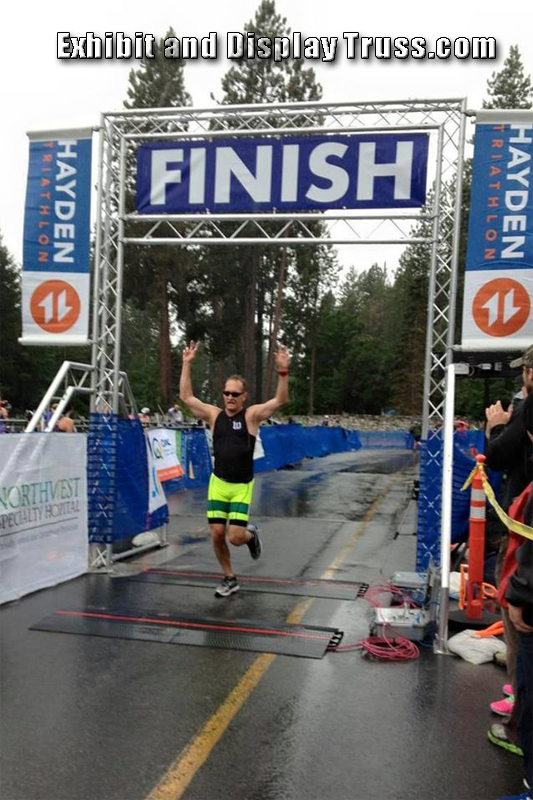 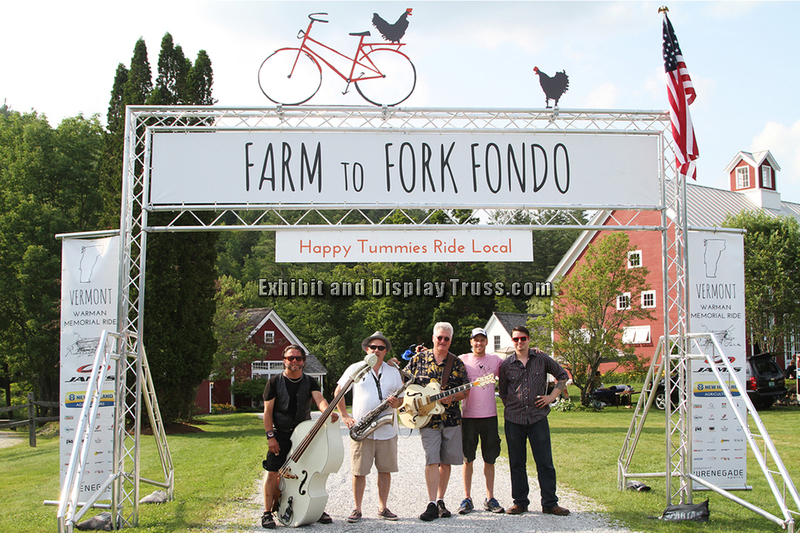 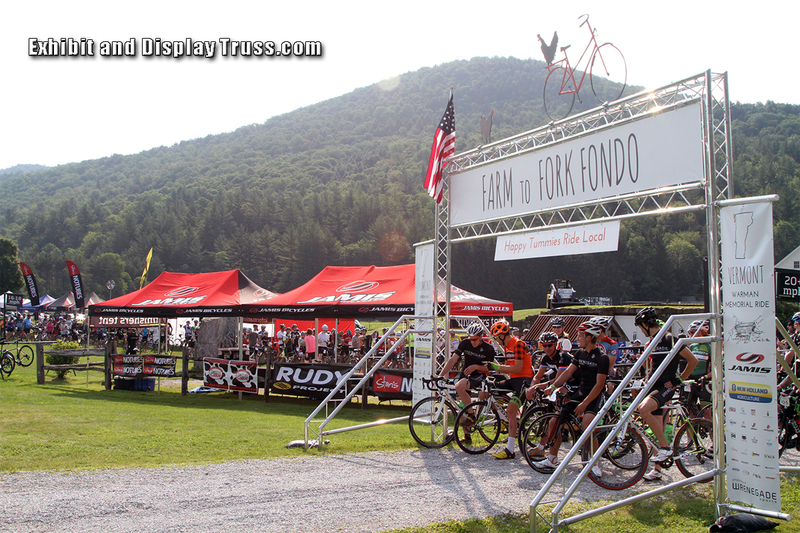 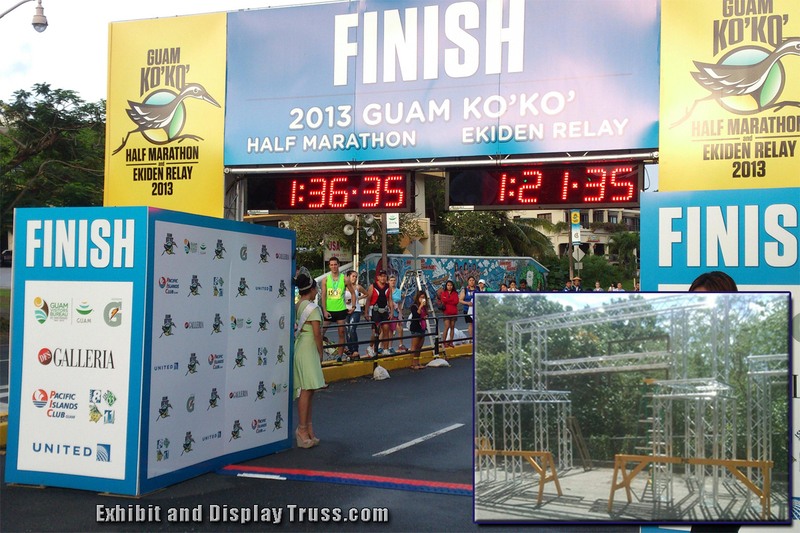 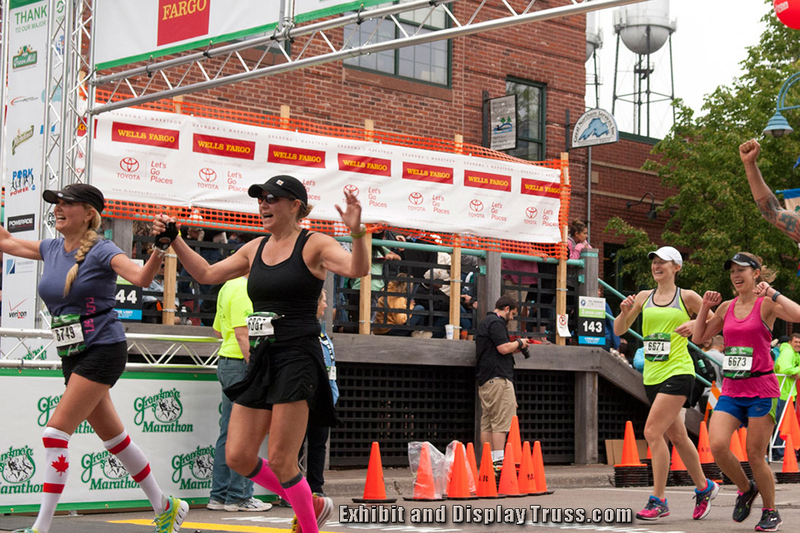 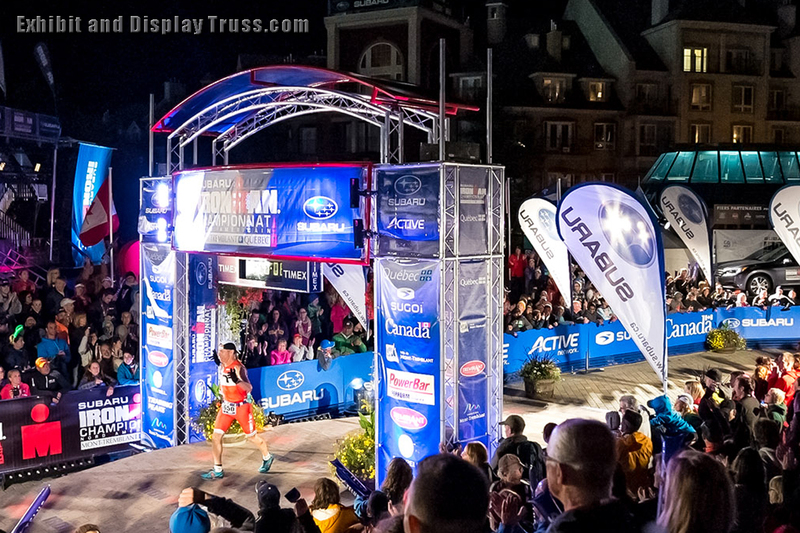 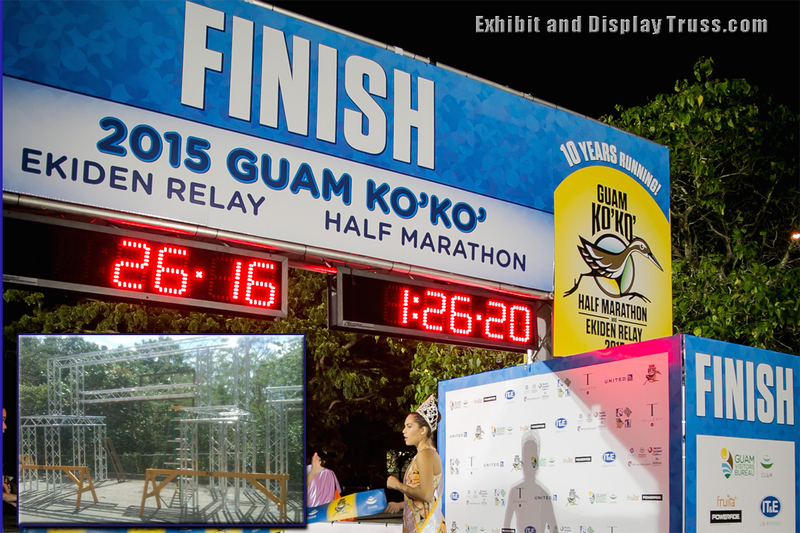 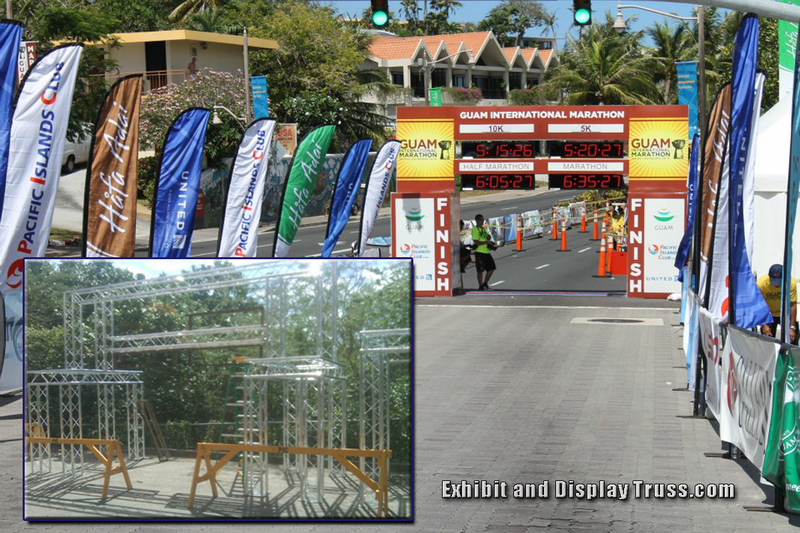 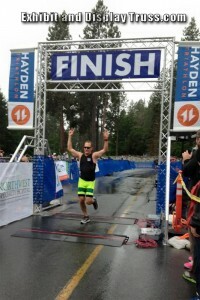 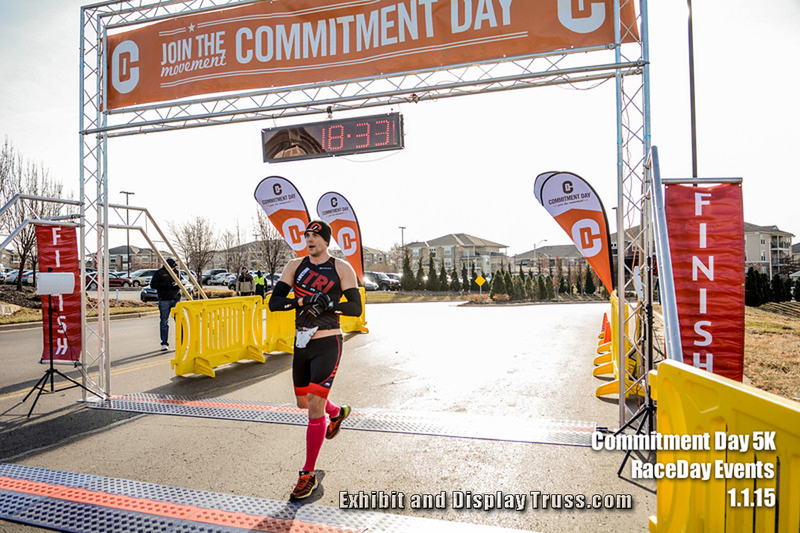 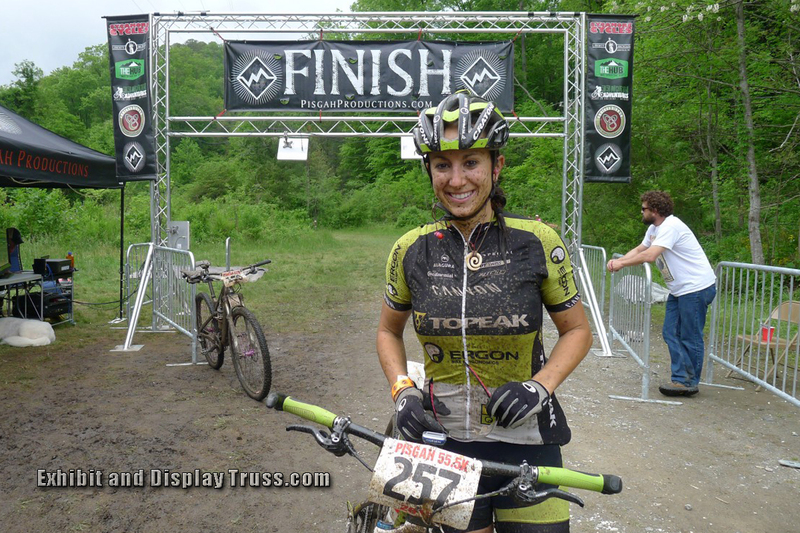 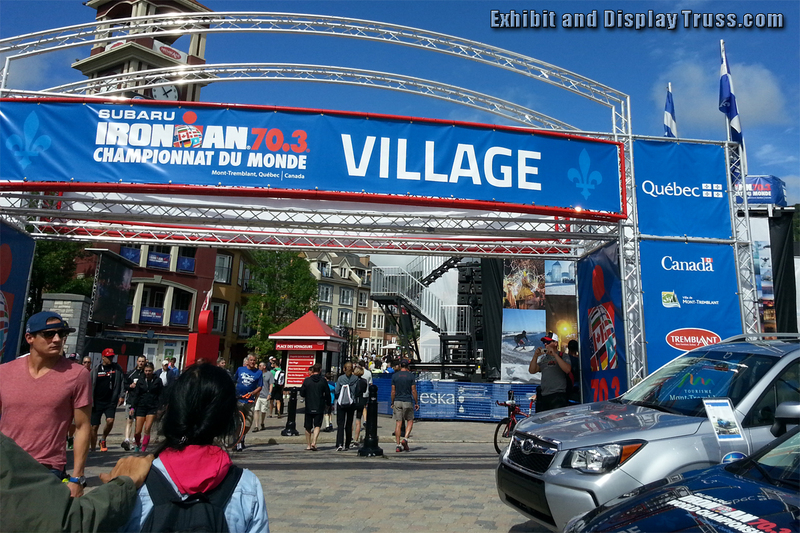 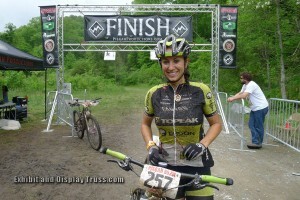 All our systems use the EDT / Exhibit and Display Truss aluminum truss designs for triathlon’s and marathons. 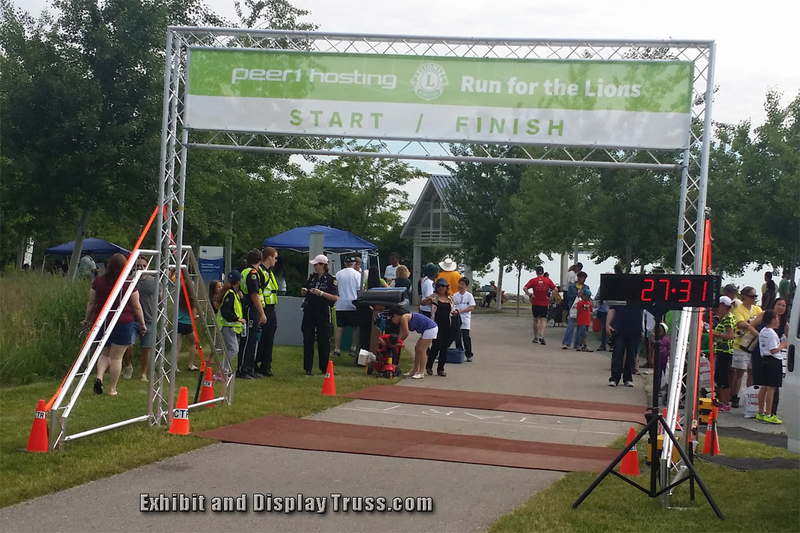 Anything can be configured or created for you, cost effective and fast. 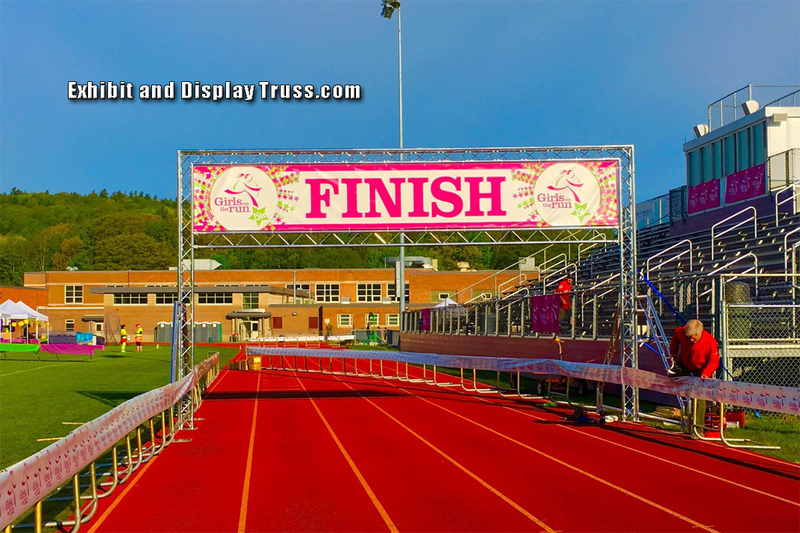 Lots of field proven systems are stocked and can be altered to suit your specific needs or we can fabricate an aluminum trussing finish line to meet your exact dimensions and specifications. 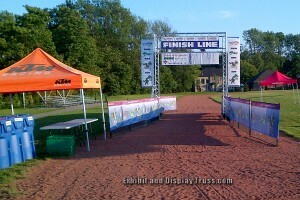 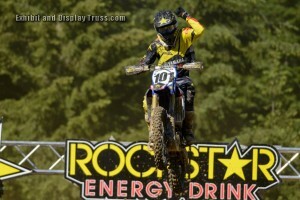 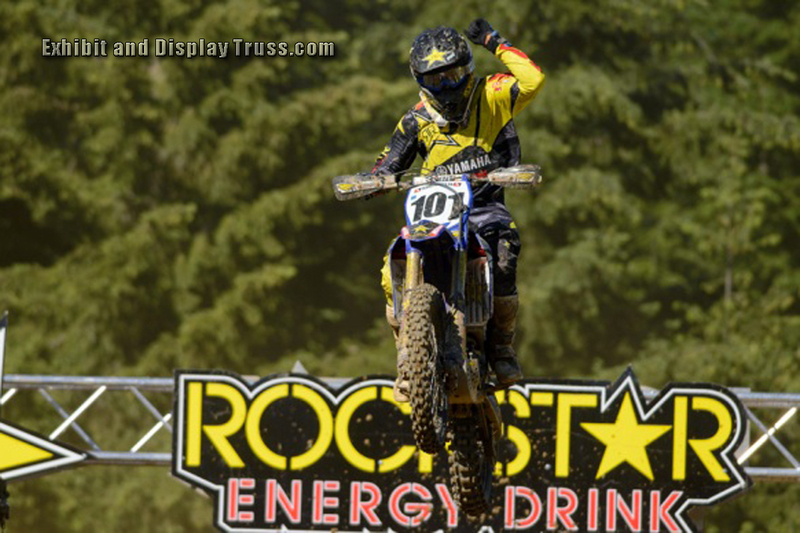 We have the best prices and the best finish line systems in the nation. Don’t be fooled by imitations and designs trying to look the same as EDT aluminum truss finish line systems. We take our 30 years of experience and bundle all the little details into our packages to make sure you get the best value and functionality out your system. Don’t buy of the shelf items that a vendor is shoving at you. Let us create the exact system for your needs. 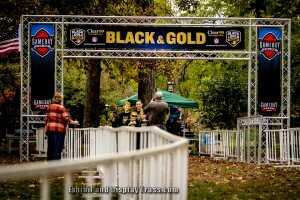 It won’t cost you more and it will be guaranteed to serve you well for decades. 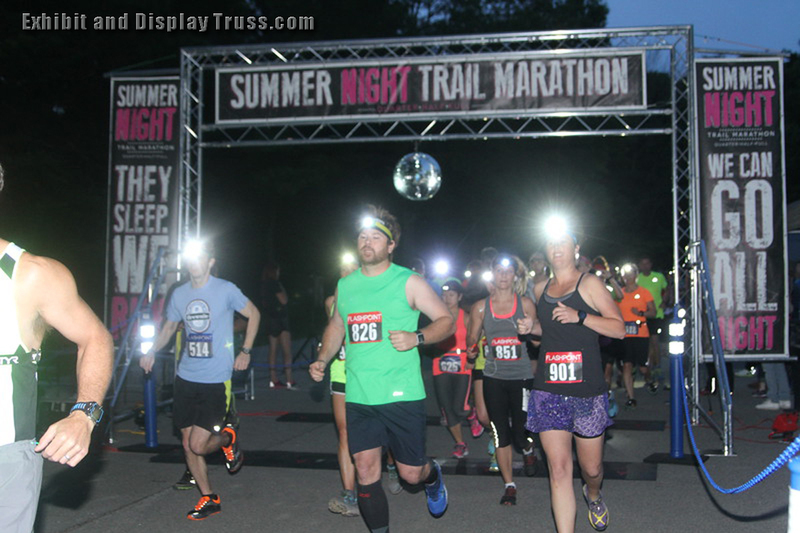 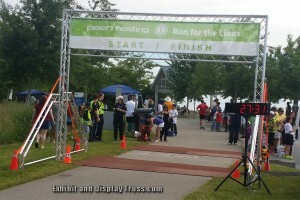 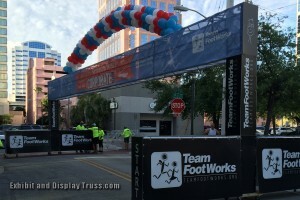 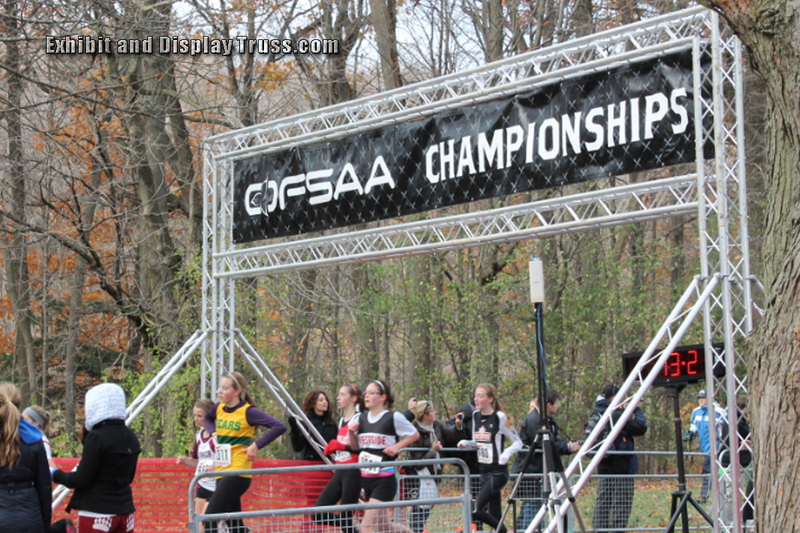 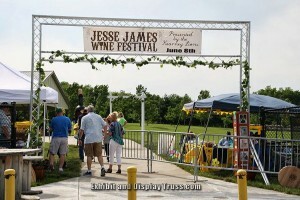 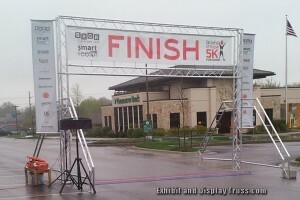 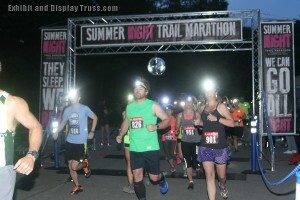 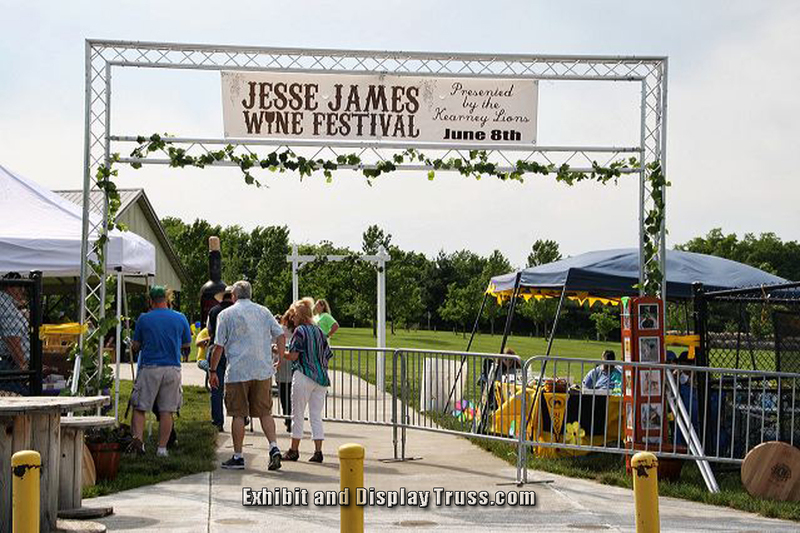 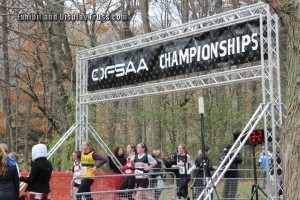 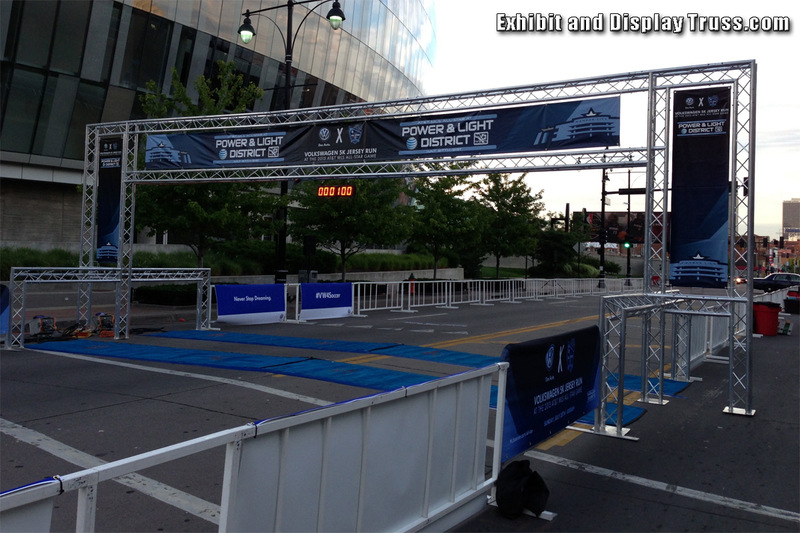 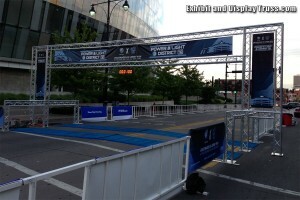 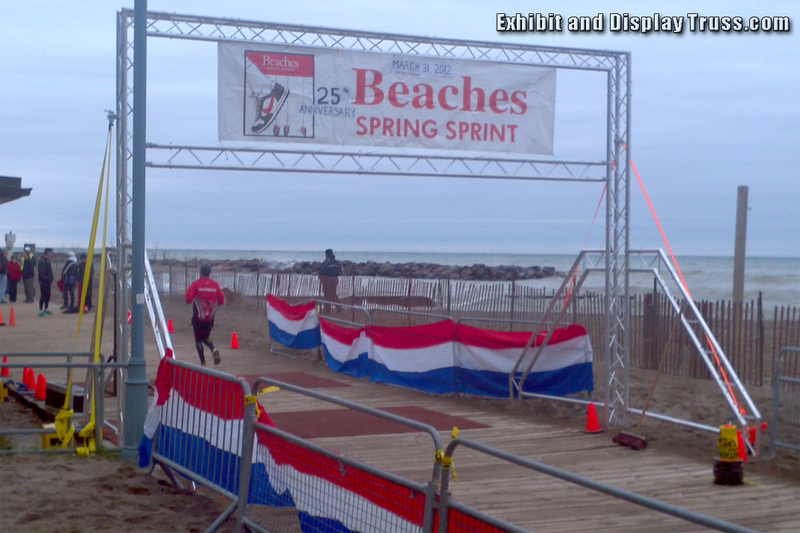 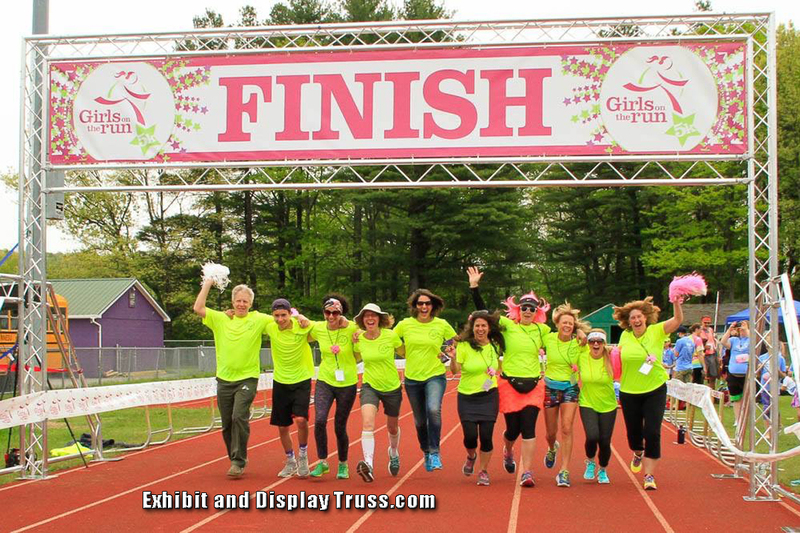 Fast light weight, portable aluminum truss finish line and starting line systems form EDT and Light Design Systems. 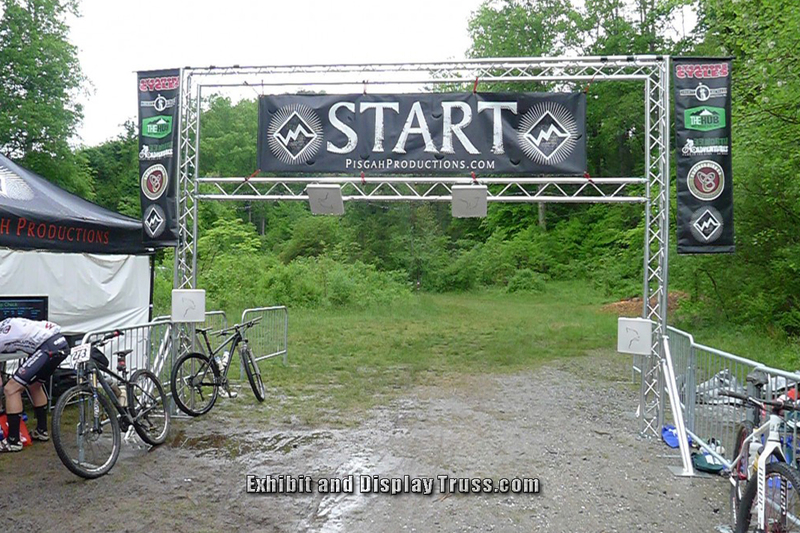 We have created some of the most advanced portable finish lines trusses in the nation. 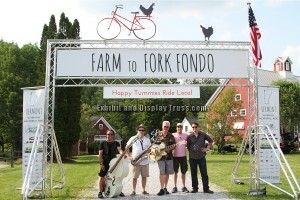 We have a huge wealth of knowledge based on customer feed back and experiences. 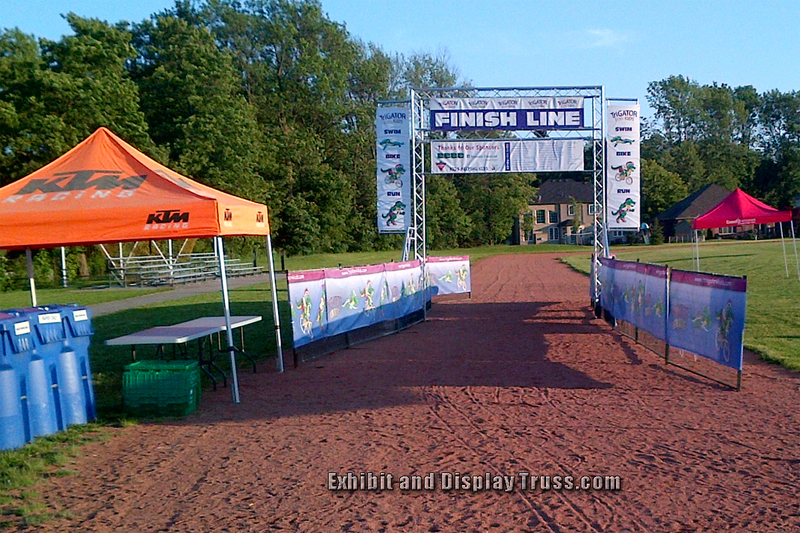 All of this has been integrated into our professional start and finish line structures. 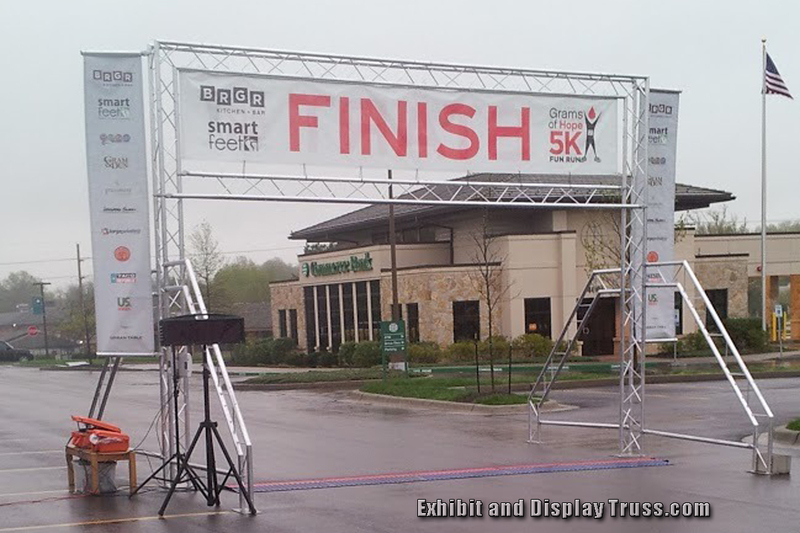 Entrance ways, Starting lines or Finish line systems, they all have little details that make them different and it’s those details we work to include in all our systems. 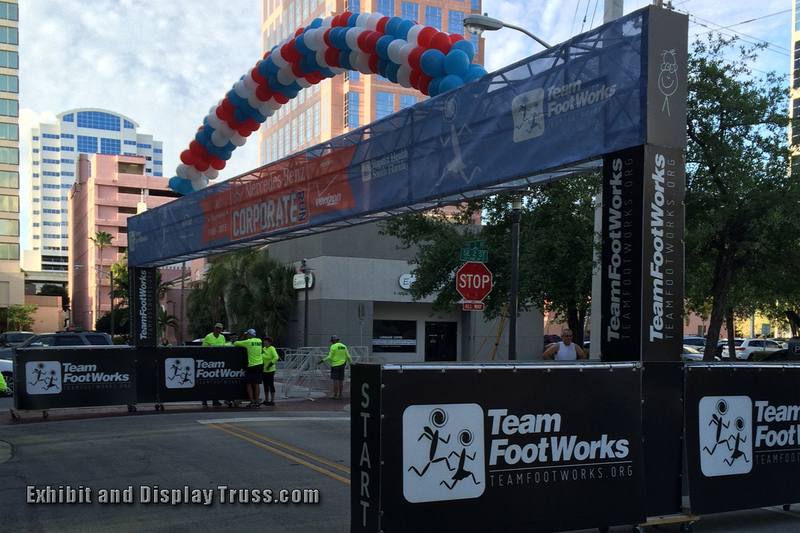 We take the mistakes other suppliers have made and work with you and your team to ensure those mistakes are avoided. 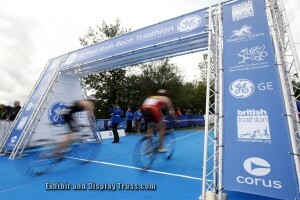 We’ll work hard to get you “The Right Stuff” for your race, marathon or triathlon event.